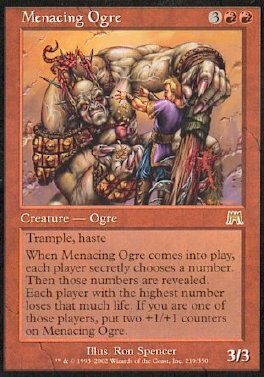 Trample, haste When Menacing Ogre comes into play, each player secretly chooses a number. Then those numbers are revealed. Each player with the highest number loses that much life. If you are one of those players, put two +1/+1 counters on Menacing Ogre.